President Mnangagwa says the government is set to leap frog and catch up with the best universities worldwide adding that plans are afoot to revamp the infrastructure and improve other services in the institutions of higher learning. Addressing students at an indaba held at the Harare International Conference Centre today, the President said government is working on the betterment of universities across the country. “Under the current dispensation everyone shall access the best skills required to develop our country. I know we are behind our neighbours due to economic sanctions which were imposed on us. We now want to leapfrog and match them and in future outstrip them,” he said. He said the government is developing a concept of having universities within universities, to create industrial hubs. “There were brilliant innovations from university students from Chinhoyi University of Technology, Bindura, NUST and others at ZITF and as such the innovations will die because of lack of facilities, hence the government has introduced six innovation hubs for the incubation of those ideas for the development of the country,” said President Mnangagwa. The President said his government advocates for servant leadership and is open to dialogue and fresh ideas for the development of Zimbabwe. “As I have said I am a listening President, I have come to appreciate your frustrations and concerns be it on my facebook page, meetings or indabas like these so that together we can build the Zimbabwe we want,” he said. President Mnangagwa said universities should produce students that play an integral part in the development of the country. “I am going to meet with the captains of industry to contribute to the universities so that they produce the human capital resource they want, which is highly skilled,” he said. The President said the government will comprehensively address the plights of students in tandem with the economic transformations. 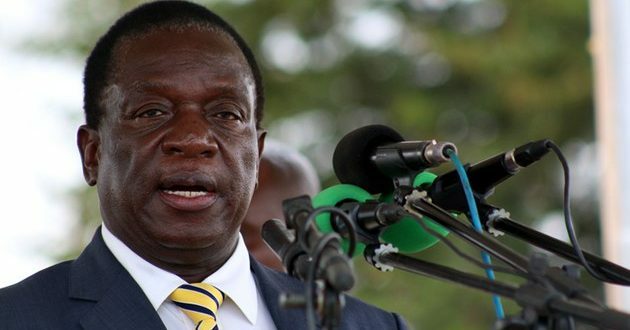 On elections, President Mnangagwa said the government is putting in place measures to make sure that the 2018 plebiscite set for the 30th of this month are free, fair and credible, urging the students to observe peace. “Let us refrain from any violent acts and exercise peaceful campaigns. Let us remain as one people, we are united by our flag and together we are one people,” he said. The President challenged students to be innovative, hardworking and pragmatic adding that they should defend and uphold the national interests and integrity of the country.